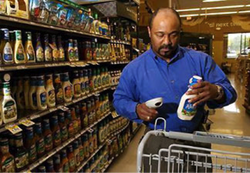 To receive program certification, stores enrolled in the Scanning Certification Program must achieve a price accuracy score of at least 98 percent during an annual unannounced price verification inspection and demonstrate compliance with other program requirements. During any inspection, after checking in and presenting ID to management, our inspector will tour the store and interview appropriate employees to measure compliance with program requirements. The inspector will then, using procedures set forth in the National Standards and Technology’s Handbook 130, Examination Procedures for Price Verification, test the price accuracy of a randomly selected sample of items from throughout the store. Sample size ranges from 25 to 200 items and is determined by store size. Results are reviewed with management at the end of the inspection and store owners or corporate contacts receive a detailed inspection report and any recommendations for improvement soon thereafter.